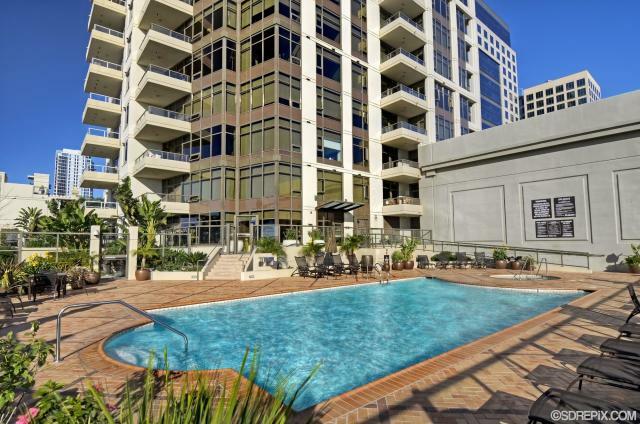 Spacious 3 story town-home located at Electra in the Marina District, Downtown San Diego, is now available for rent. This 2 bedroom, 2 bathroom, 1305 sq ft residence includes hardwood floors in living room, newer carpet in bedrooms, designer stainless steel appliances, granite counters, in-unit washer/dryer, and fireplace. Building amenities at Electra include fitness room, sauna, steam room, swimming pool, hot tub, BBQ’s, 24 hour concierge, 24 hour security, and the amazing 5 story conservatory for meetings and events. This unit includes one parking space and an ADT Alarm System, the owner pays for the alarm system service. Email/Call/Text Holly O’Neill to schedule your showing!